See the Conference Day 2 Recap post here, and the Day 3 Recap post here! This year, Franchise Update’s 12th annual Leadership & Development Conference was held in Buckhead, Atlanta at the illustrious Ritz Carlton. We couldn’t wait to take part in this seminal gathering where each year, franchise executives, suppliers, and industry experts come together to mingle and share a wealth of knowledge to help learn, discuss, and promote best practices in franchising. The conference mainly zeroes in on franchise development. And although Empowerkit’s key focus is helping franchisors and franchisees market more effectively online to end customers, I’m fascinated by all aspects of franchising, and believe that to provide truly top-notch solutions as a supplier, you need to know the whole picture and stay ahead of the curve on new trends. After the Pre-Conference Power Sessions sponsored by MSA – which we unfortunately were unable to attend – the conference kicked-off with the opening cocktail reception in the sponsor ballroom. 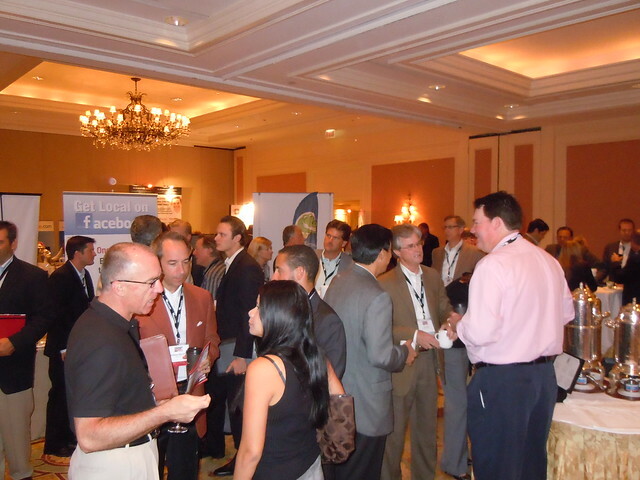 For about three hours, attendees got acquainted and reconnected with old friends over drinks, while walking around to the sponsor tables to learn about the best, newest services available to franchisors to help improve various facets of business. I had a blast meeting lots of new faces and catching up with some of the best folks in franchising – seeing such a vibrant group of bright and energetic franchise professionals really made me appreciate what a great industry this is to work in. Finally, a solution for franchises to start converting all the hoopla around Facebook into quantifiable results. Lead Catalyst is a great tool that seamlessly integrates conversion-driven promotions into your franchise’s Facebook Page. Visitors who “Like” your Page unlock engaging content (usually in the form of a video) which is directly followed-up with a prominent call-to-action and lead conversion form. Once the promotion is optimized and tweaked for optimal conversions, it’s time to amplify it throughout your franchisees’ Facebook Pages. That’s the short of it – contact the folks at Process Peak to get the full scoop and see if it’s right for your franchise. And keep an eye out for new Empowerkit features coming soon to further expand and enhance your Facebook presence. By now, everyone knows it’s important to have an SEO strategy, both for development and consumer marketing. But if your franchisees aren’t claiming and updating their local business listing information (i.e. the local businesses that show in a map on Google when you search for products or services) across all of the search engines and listing sites on the web, chances are they’re losing business to competitors – money that in most cases trickles back to you through royalties. Localeze partners with over 125 top search engines and listing sites, and has a solution to keep all of your franchisees’ information visible and up-to-date. Pretty cool huh? What’s even better is we’re in the process of integrating this service into Empowerkit, to make things even easier and more consolidated! 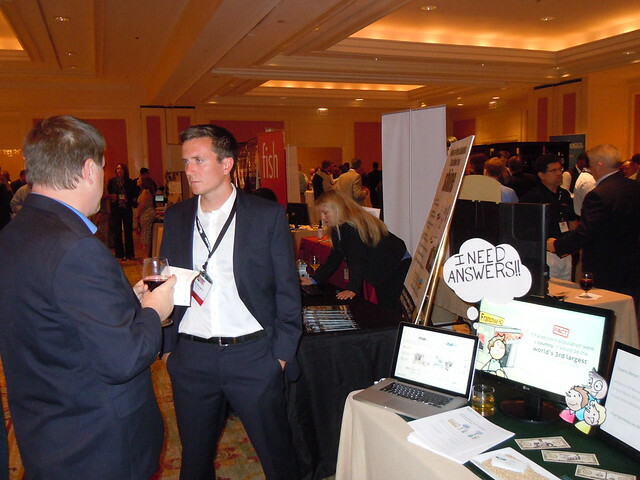 Still fairly new on the market, Cardlytics struck me as one of the most innovative solutions I saw at the conference. This service partners with banks to serve up promotions directly in consumers’ online banking dashboard, which are directly relevant to their purchasing behavior. For example, if I purchase tires at Meineke, I may see a promotion for a discounted oil change the next time I check my statement online. The best part – franchises that opt-in only pay when customers buy… brilliant! Day one of the conference was just the start…stay tuned for follow-up posts, pics, and videos with more great coverage from the 12th Annual Franchise Leadership & Development Conference!